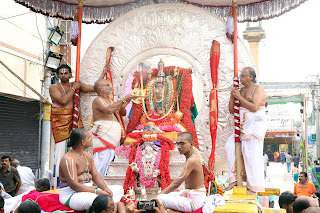 TIRUPATI, 9 Apr. 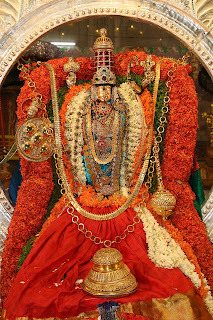 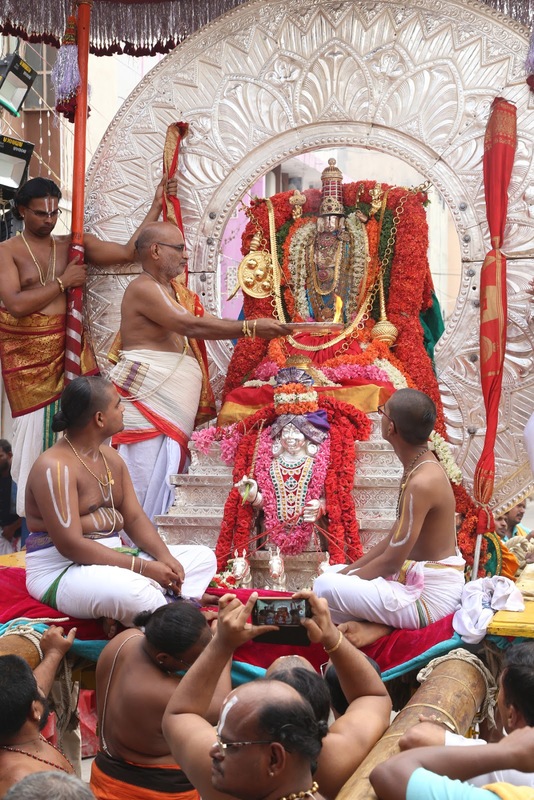 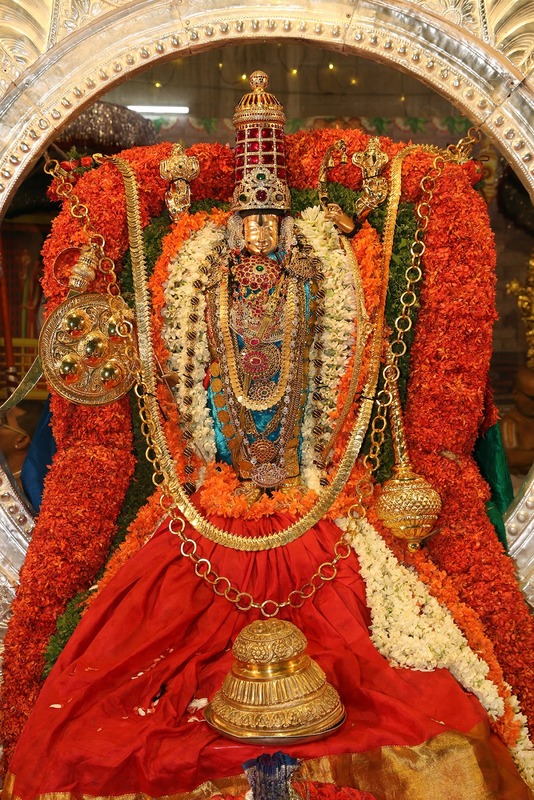 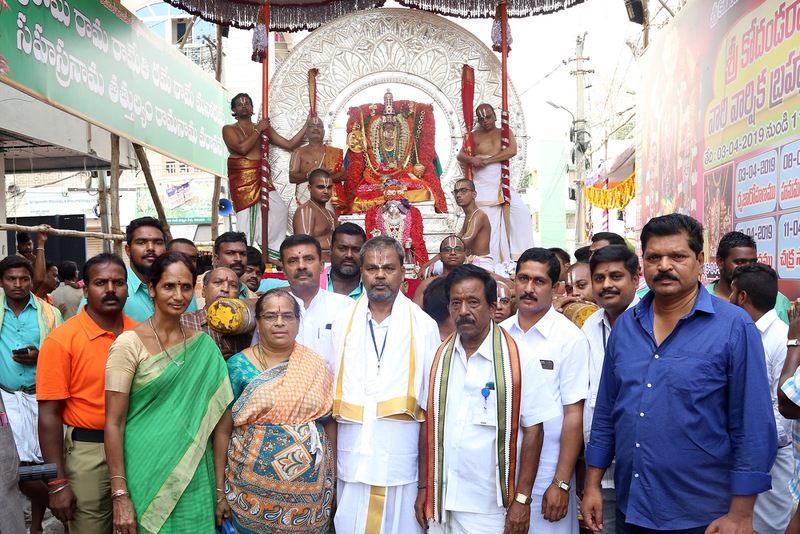 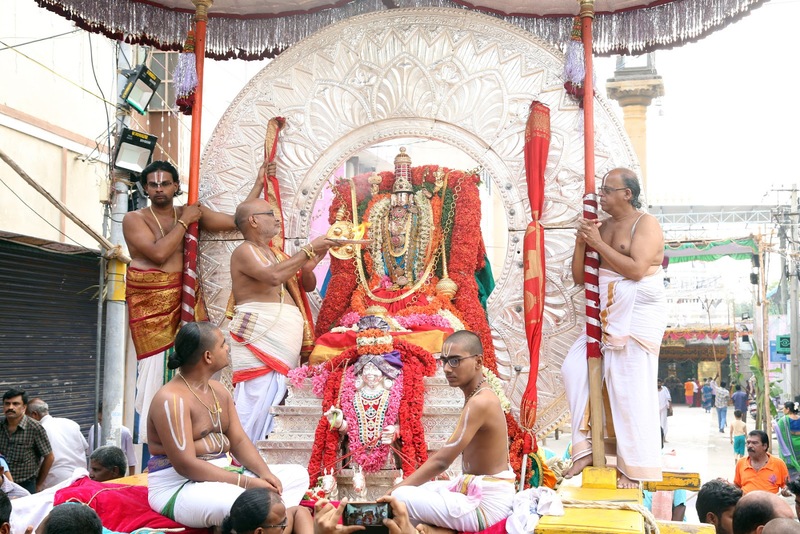 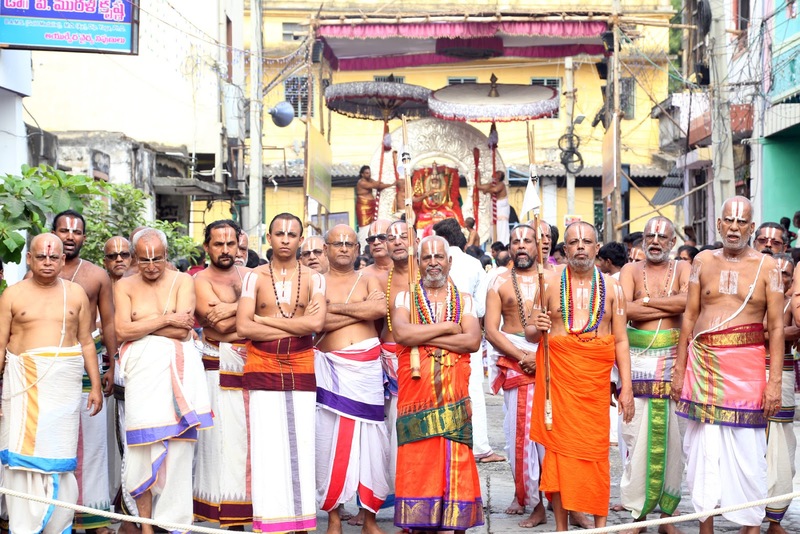 19: Lord Sri Kodanda Rama Swamy took celestial ride on the shining Suryaprabha Vahanam on the bright sunny day on Tuesday. 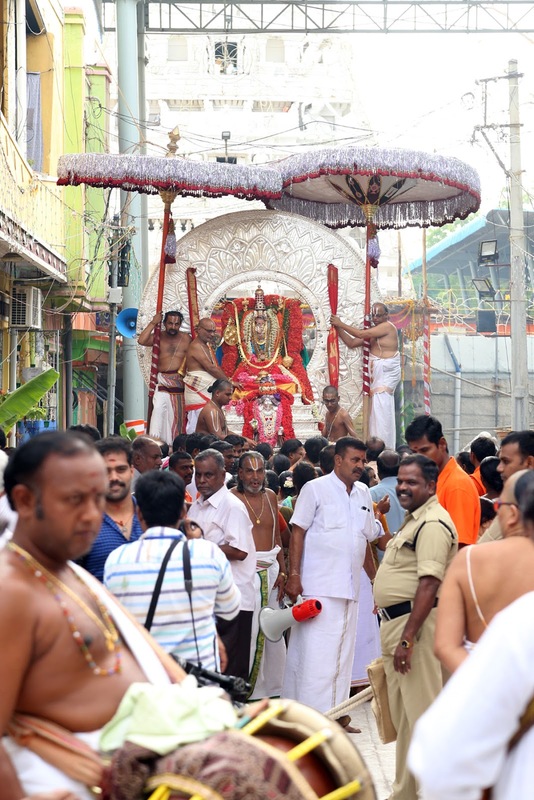 The charm of Lord enhanced on this vehicle which was decked in Orange colour floral garlands. 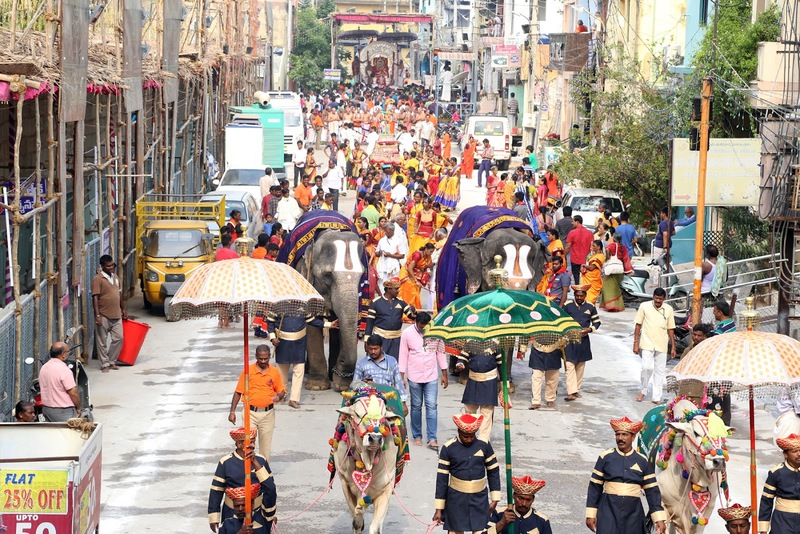 The procession took place between 8am to 10am. 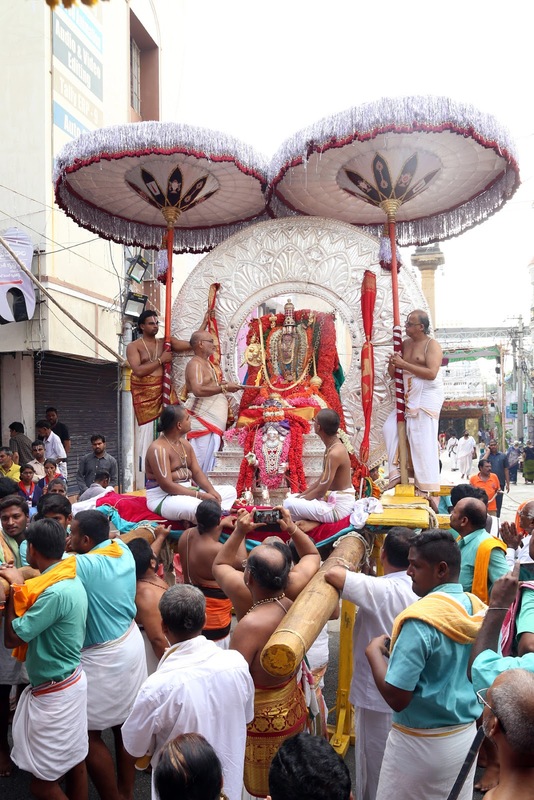 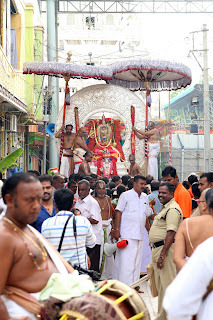 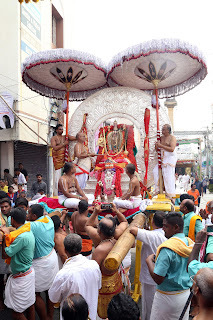 Meanwhile in the evening, the Lord took pleasant ride on Chandraprabha VAHANAM giving a soothing feel to devotees. Temple DyEO Sri EC Sreedhar and others were also present.